And “Isis”, on the Rolling Thunder tour, was (eachnight) Bob Dylan’s biggest risk and greatest triumph…. Desire is the seventeenth studio album by American singer-songwriter Bob Dylan, released in January 1976 by Columbia Records. It is one of Dylan’s most collaborative efforts, featuring the same caravan of musicians as the acclaimed Rolling Thunder Revue tours the previous year (later documented on The Bootleg Series Vol. 5); many of the songs also featured backing vocals by Emmylou Harris and Ronee Blakley. Most of the album was co-written by Jacques Levy, and is composed of lengthy story-songs, two of which quickly generated controversy: the over-11-minute long “Joey”, which is seen as glorifying the violent gangster “Crazy Joey” Gallo, and “Hurricane”, the opening track that tells a passionate account of the murder case against boxer Rubin Carter, whom the song asserts was framed. Carter was released in 1985, after a judge overturned his conviction on appeal. 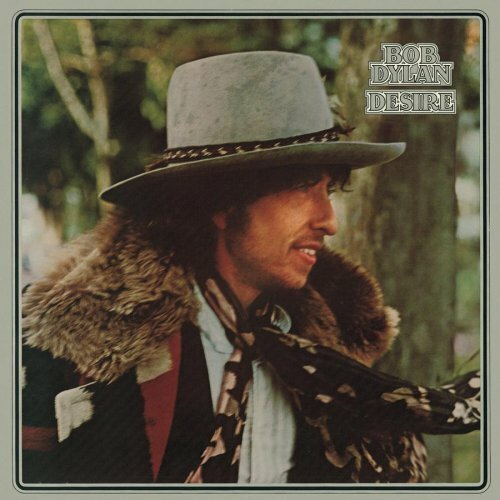 A well-received follow-up to Blood on the Tracks, Desire reached #1 on the Billboard Pop Albums chart for five weeks, becoming one of Dylan’s top-selling studio albums (currently certified double platinum), while reaching #3 in the UK. It claimed the number one slot on NME Album of the Year. Rolling Stone named Desire #174 on its list of The 500 Greatest Albums of All Time. 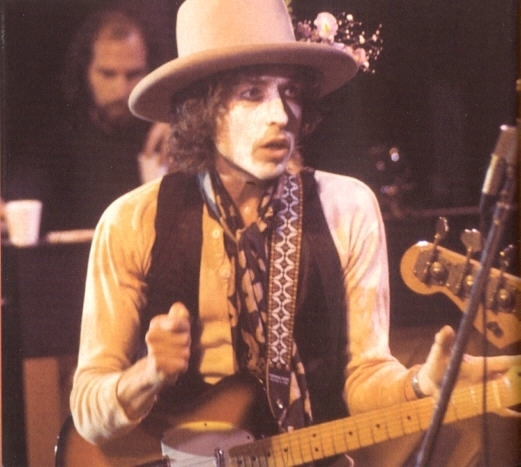 Desire was released between the two legs of Dylan’s Rolling Thunder Revue tour. By 1975, Dylan had extensive experience playing with a number of bands, but these groups were assembled by others. In the case of the Hawks (later known as The Band), the group had performed for a number of years before ever meeting Dylan. Dylan’s idea of forming his own band, who would later be known as the Rolling Thunder Revue, came when he saw Patti Smith and her group play at The Other End (formerly, and currently renamed The Bitter End) on June 26, 1975. Smith had yet to record an album, but she was already attracting a lot of attention from the music press and industry. According to Clinton Heylin, these were her first shows with drummer Jay Dee Daugherty, the culmination of four years spent “compiling a unique rock & roll sound”. 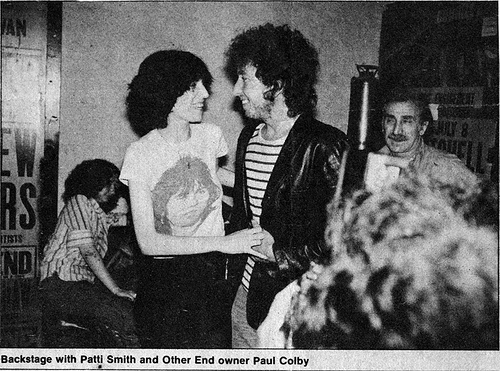 According to Smith, Dylan was immediately struck by the chemistry between Smith and her band, and expressed a wish that he had chosen to stay with a single band. Dylan would spend many nights over the next two weeks in New York’s Greenwich Village and The Other End in particular, eventually meeting Rob Stoner and reacquainting himself with Bob Neuwirth. 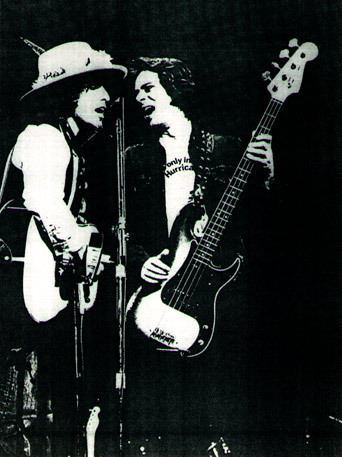 Stoner would later join his Rolling Thunder Revue, and Dylan would meet the remaining members through Neuwirth. According to Smith, he was thinking about improvisation and extending himself “language-wise”. On the night of July 30, 1975, Dylan returned to Studio E with a smaller group of musicians, including Stoner, Rivera, Harris, and drummer Howie Wyeth. 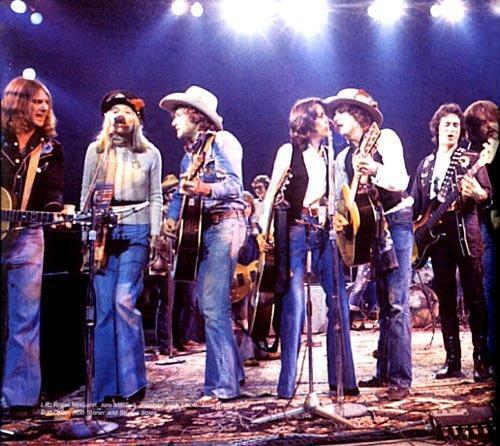 For the most part, this group of musicians formed the core of the Rolling Thunder Revue. …. Both Dylan and Stoner were pleased with the session, and Stoner suggests that the more intimate sound was much closer to the sound of the completed album. Five of the nine songs from Desire were recorded at that session, as well as a slow version of “Isis,” the original master take of “Hurricane”, the single-only release “Rita Mae,” and a successful take of “Golden Loom” that was later released in 1991. .. The following night, Dylan held another session, this time recording three songs. 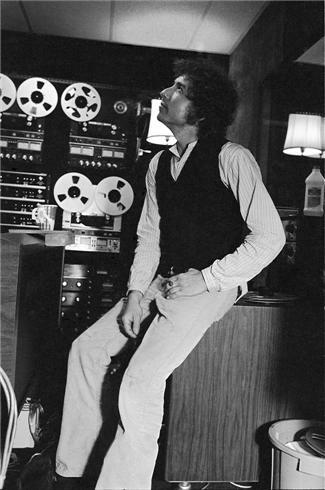 From this session, Dylan recorded the master take for “Isis” as well as master takes for “Abandoned Love” and “Sara.” Dylan’s wife Sara, the subject of the song that bore her name, also accompanied him to this session. On January 5, 1976, Desire was released, garnering a fair share of critical acclaim. Critic Dave Marsh would call it one of the “two best records Dylan has made since John Wesley Harding” and gave it a four-star review in the 1979 Rolling Stone Record Guide. Some critics were not impressed; Robert Christgau wrote: “Although the candid propaganda and wily musicality of “Hurricane” delighted me for a long time, the deceitful bathos of its companion piece “Joey” tempts me to question the unsullied innocence of Rubin Carter himself”. He disputed their categorization as protest songs and mused that Dylan’s songs about oppressed “heroes” may have been a reflection of Dylan’s own feelings at the time. 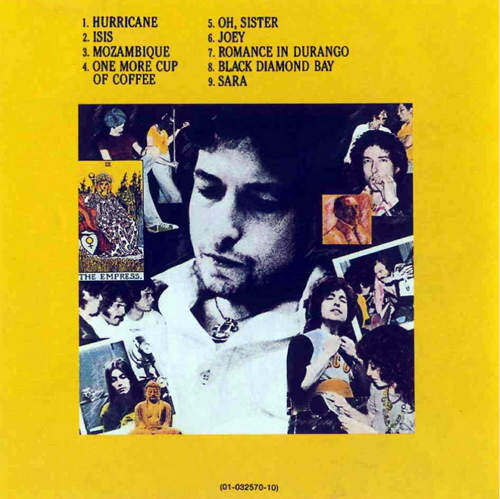 Christgau described Dylan’s voice and rhymes as “viscous” and the strength of backing vocalists Ronee Blakley and Emmylou Harris as “distinctly kid”. Christgau negatively compared these tracks with “Sara” and “Isis”, before rating the album a moderate “B−”. All tracks written by Bob Dylan and Jacques Levy, except as noted. Hello, don’t you miss Eric Clapton as an additional musicians playing on Romance in Durango? Thanks for your observation Billy! And “Eric Clapton” played guitar in studio the night “Romance In Durango” was recorded (28 July 1975)… If he played on take 4.. I don’t now.. but I’ve added mr. Clapton to the post anyways..
As you can see in the session details, there were many musicians in the studio that night. I don’t now how many of these actually played on take 4.